In another sign of programmatic video advertising's rising popularity among brand advertisers, Adap.tv's newly released 2014 State of the Video Industry report has found that 60% of brands' video ad spending is now allocated to programmatic channels. That compares with 44% for ad networks and 38% for agencies and trading desks. However, when it comes to premium video, brands said just 23% of ad spending was done programmatically, reflecting how important publisher direct sales remains for the most coveted ad inventory. In fact, 51% of publishers said they're making premium ad inventory available for sale programmatically, up just slightly from 49% in 2013. Still, private marketplaces continue to gain, with 32% of publishers running one in 2014, up from 20% in 2013. 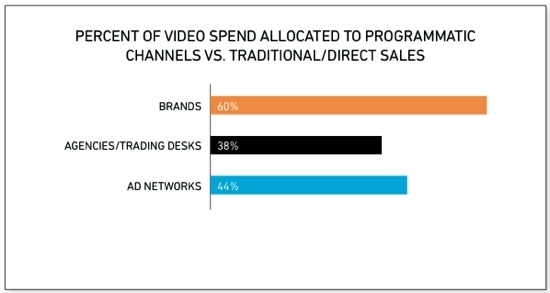 Overall, video ad buyers are planning to fund video ad spending from existing channels, rather than increasing budgets. The top existing channels they cited as intending to tap include display (47%), broadcast TV (40%), cable TV (35%) and print (26%). 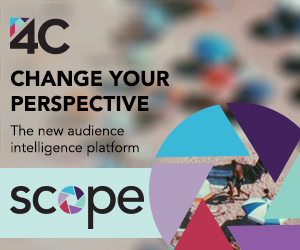 Brand buyers are also leaders in using programmatic for traditional TV transactions, with 43% reporting they use automated or data-driven processes for traditional TV, compared to 24% for agencies/trading desks and 19% for ad networks. Though just 13% of brands say they've brought programmatic video buying technology in-house to date, 88% of those that haven't say they'll do so in the next 12 months. Viewability continued to be both buyers' and publishers' top concern, cited by 62% and 58%, respectively, with 42% of each naming it the top industry issue about which they're seeking more information. The Adap.tv 2014 State of the Video Industry Report is based on a survey of over 350 media and marketing professionals. The full report is available here.